United States Coast Guard unit PSU 305, Commander Michael McCarthy spoke to local media expressing how pleased he and his team are in Papua New Guinea, providing water security for APEC 2018. “We’ve had some fishermen out at sea, but we have spoken to them and passed on some flyers and it’s been a very friendly exchange", said Commander McCarthy. 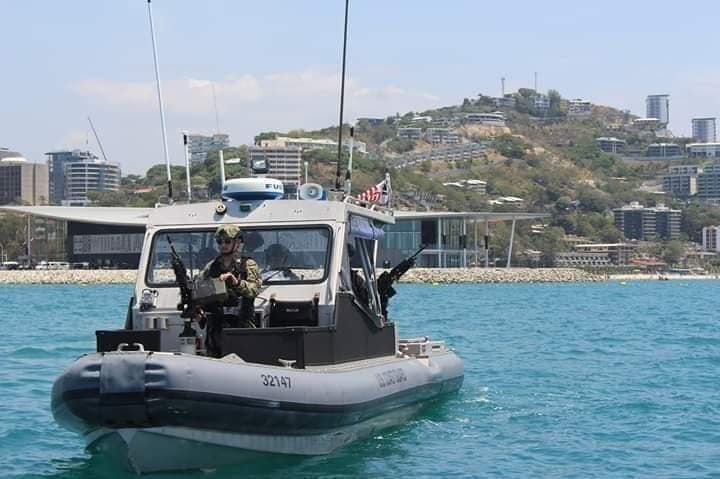 There are eight (8) Coast Guard boats, working with the PNG Joint Security Task Force, including water police (maritime technique), taking watch of the areas that are out of bounds to the general public, fishermen and sailors during APEC Leaders Week from November 12-18, 2018. Areas of restricted movement and the main locations that the U.S. coast guard will be patrolling include the APEC Haus and the three cruise ships, including the Pacific Jewel which berthed today.